Comcast has finally rolled out the wireless service it's been working on for the last few years. 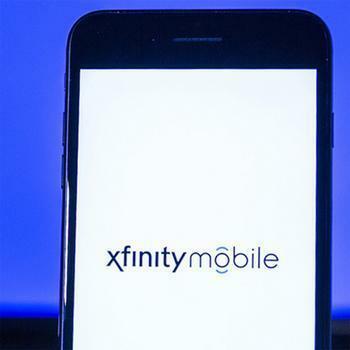 Called Xfinity Mobile, it will be available to existing Comcast customers and newcomers who agree to bundle wireless and Comcast home internet service. Pricing is competitive, ranging from $45 to $65 per line per month, depending on how many other Comcast services are bundled. The $65 figure is $15 less than Verizon's charge for a single unlimited line and $25 less than AT&T's. Comcast is also offering a pay-per-gig option of $12 per gigabyte for customers who don't use much data. That's much cheaper than any options from major carriers. Comcast is hoping the attractive pricing for its wireless services will help reduce cable-cutting -- the dread practice of consumers getting rid of their cable service and relying on over-the-air and streaming video. The other major carriers are also offering bundling in the markets where they are able to do so, but none has cut wireless prices quite as much as Comcast. Xfinity Mobile is using a combination of 4G LTE service that it is reselling from other carriers as well as its own 16 million wi-fi hotspots, located in commercial venues and subscribers' homes. Comcast has been quietly installing wireless routers that contain a public channel as well as a private one for use only by the subscriber. "We’re doing mobile differently by bringing our customers the best networks and a product designed to save them money in an increasingly data-driven world," said Greg Butz, president of Comcast Mobile.